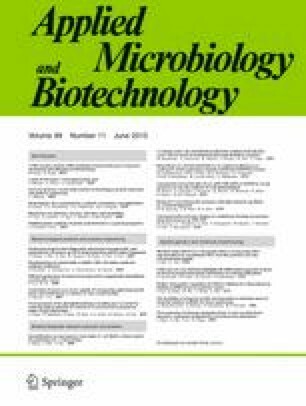 This study assessed cell voltage development, electricity recovery, and microbial community composition in response to initial substrate including acetate, xylose, acetate/xylose 1:1 mixture (ace/xyl), and bioethanol effluent (BE) during microbial fuel cell (MFC) operation at 1000 Ω external resistance. The BE mainly contained 20.5 g/L xylose, 1.8 g/L arabinose, and 2.5 g/L propionic acid. The MFCs initially fed with acetate showed shorter initiation time (1 day), higher average cell voltage (634 ± 9 mV), and higher coulombic efficiency (31.5 ± 0.5 %) than those initially fed with ace/xyl or xylose. However, BE-initiated MFCs only generated 162 ± 1 mV. The acetate-initiated MFCs exhibited longer adaptation time (21 h) and lower cell voltage (645 ± 10 mV) when the substrate was switched to xylose, whereas substrate switching to BE produced the highest voltage (656 mV), maximum power density (362 ± 27 mW/m2), maximum current density (709 ± 27 mA/m2), and coulombic efficiency (25 ± 0.5 %) in the acetate-initiated MFCs. The microbial community in acetate-initiated MFCs was less diverse and contained more electrogenic bacteria (13.9 ± 0.4 %) including Geobacter sulfurreducens and Desulfuromonas acetexigen than the MFCs initially fed with ace/xyl, xylose, and BE. After switching the substrate to xylose and subsequently to BE, the microbial community in the acetate-initiated MFCs became more diverse, while no significant changes were observed in ace/xyl-, xylose-, and BE-initiated MFCs. The results showed that initial substrate affected the power generation and the capability to adapt to the substrate alteration in MFCs. Acetate-initiated MFCs showed best performance in utilizing BE. The online version of this article (doi: 10.1007/s00253-015-6513-5) contains supplementary material, which is available to authorized users. The authors are grateful to Danida Fellowship Centre, Denmark for supporting the research project (Biobased Electricity in Developing Countries, DFC No. 11–091 Risø). The financial support from China Scholarship Council (CSC) for Guotao Sun’s Ph.D. project is gratefully acknowledged. Tomas Fernqvist, Ingelis Larsen, and Annette Eva Jensen, DTU are thanked for analytical work. It is declared that this work has not been published elsewhere and that all ethical requirements are followed including avoidance of data manipulation and plagiarism. The authors declare that they have no conflict of interest.